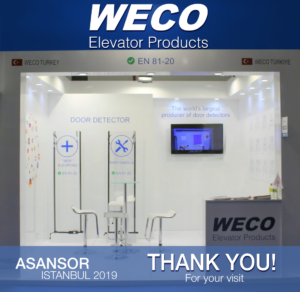 WECO would like to thank everyone that visited us at our stand in ASANSOR – ISTANBUL 2019. The tradeshow was a big success for WECO, with many new partnerships and relationships formed. © 2019 Weco Elevator Products. All rights reserved.